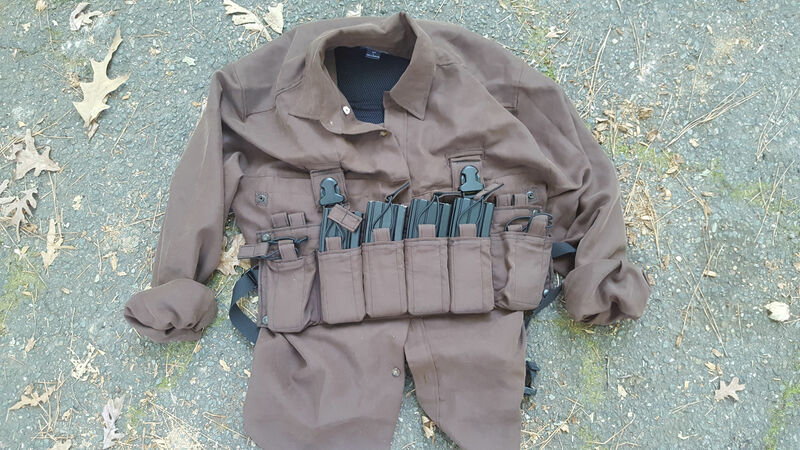 ATS Tactical Gear Low Level Clothing System: Scalable, Modular Ultra Lo-Pro/Lo-Vis Tactical Armor Shirt Plate Carrier System for Dynamic CQB and PSD Ops! | DefenseReview.com (DR): An online tactical technology and military defense technology magazine with particular focus on the latest and greatest tactical firearms news (tactical gun news), tactical gear news and tactical shooting news. 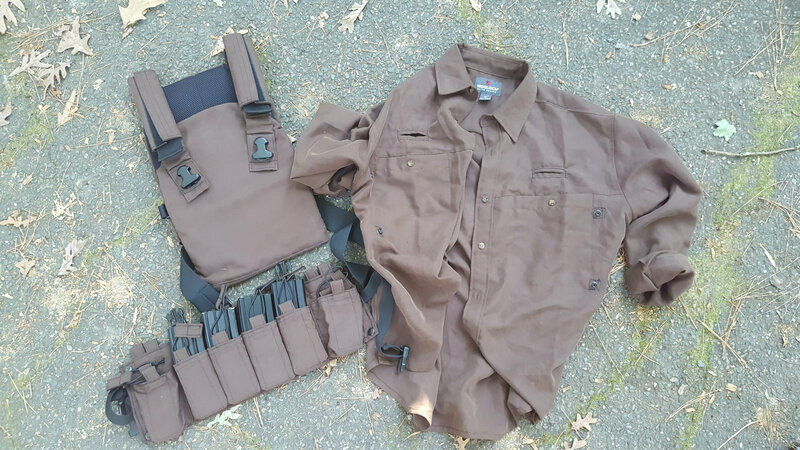 ATS Tactical Gear Low Level Clothing System: Scalable, Modular Ultra Lo-Pro/Lo-Vis Tactical Armor Shirt Plate Carrier System for Dynamic CQB and PSD Ops! “It’s a good low-level setup. See the link below. It’s designed for low level CQB work and PSD (Personal Security Detail/Detachment). I’ve attached pics of my kit. I took it on one contractor deployment, and just thought it’s worth a quick heads-up piece on DR.
“The ATS Low level Clothing System is a scalable, modular system for low visibility operations. It consists of three parts that can be used independently of each other or combined in what ever configuration the user needs. The System consists of a Plate carrier sized around ESAPI plate sizes and the 10X12 hard plates. The Low Visibility Chest Harness can be used as a stand alone product or in conjunction with the Plate Carrier by using the included strap hangers. Looks pretty slick. DR digs it. © Copyright 2018 DefenseReview.com (DR) and Jeff Gurwitch. All rights reserved. This material may not be published, broadcast, rewritten or redistributed without receiving permission and providing proper credit and appropriate links. If you are reading this article anywhere other than DefenseReview.com, please email us the website address/URL (where the unauthorized DR article reprint is located) at defrev (at) gmail (dot) com. Thank you. ATS Tactical Gear KDU Pouch For Your Tactical Armor Plate Carrier: Don’t Run Your Tactical Comms (Combat/Tactical Radio) without It! 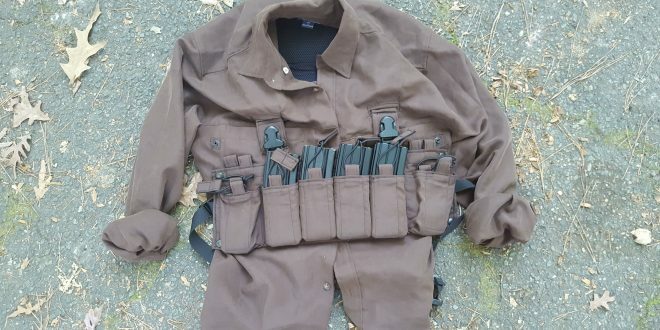 ATS War Belt Review: Best Battle Belt-Type Tactical Belt for the Money is 3-Gun Ready! Grey Ghost Gear (GGG) Lo-Vis MBAV and Minimalist Plate Carrier Systems with Grey Ghost Gear Multi-Hit Stand-Alone Hard Armor Plates! Previous: Midwest Industries G3 17” 5.56mm AR Rifle/Carbine Gets Tricked-Out with DEFIANCE, Inforce, RailScales and Vortex Optics Tactical Accessories! Next: Nightforce Optics ATACR (Advanced Tactical Rifle) 1-8X First Focal Plain Tactical Riflescope Wins USSOCOM Squad-Variable Powered Scopes (S-VPS)-Contract!